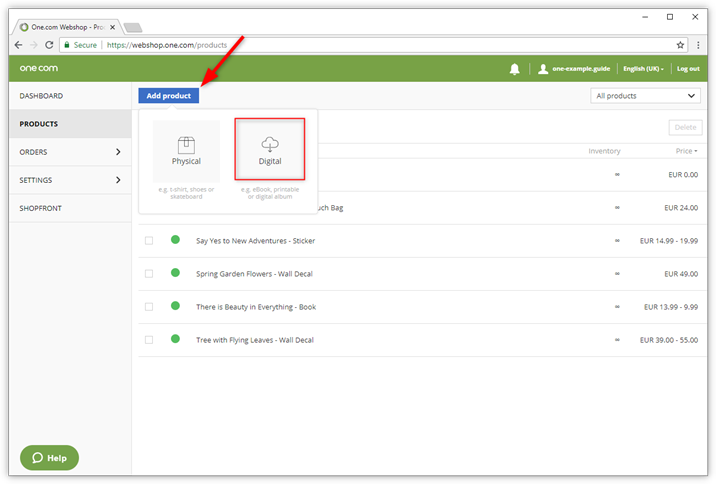 When you add a new product, you have the option to add a digital product, instead of a physical. A digital product is available for download online. After checkout, an email will be sent to the customer with a link to download the digital product that has been purchased. Open the Online Shop administration from the One.com control panel. Click Products and then Add product. Upload the file that contains your product; it can be maximum 1 GB. Upload images or select an icon that fits your product. Set a price for your product. For more detailed information on product settings, read our guide about how to manage products. What happens after a customer has purchased a digital product? After checkout, your customer receives an email with a link to download the product, in addition to the order confirmation that is sent. The link in the email is valid for 7 days, or until the customer has clicked the link. After that, the link will expire within 24 hours. 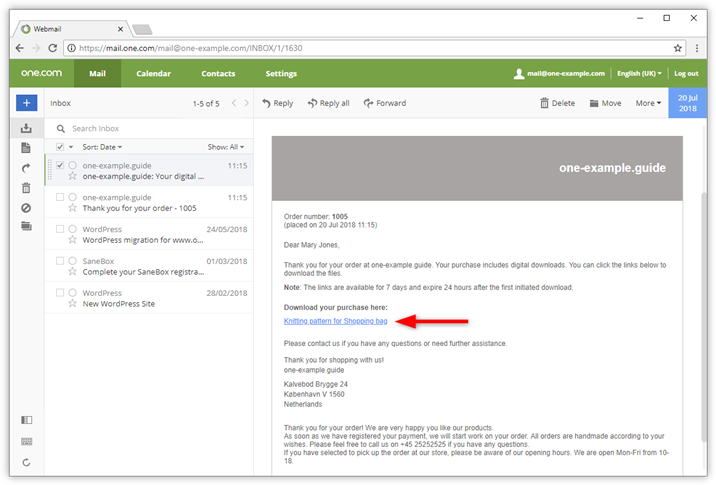 If the customer needs access to the link after it has expired, you are able to reactivate it again from the Orders section in your Online Shop administration.